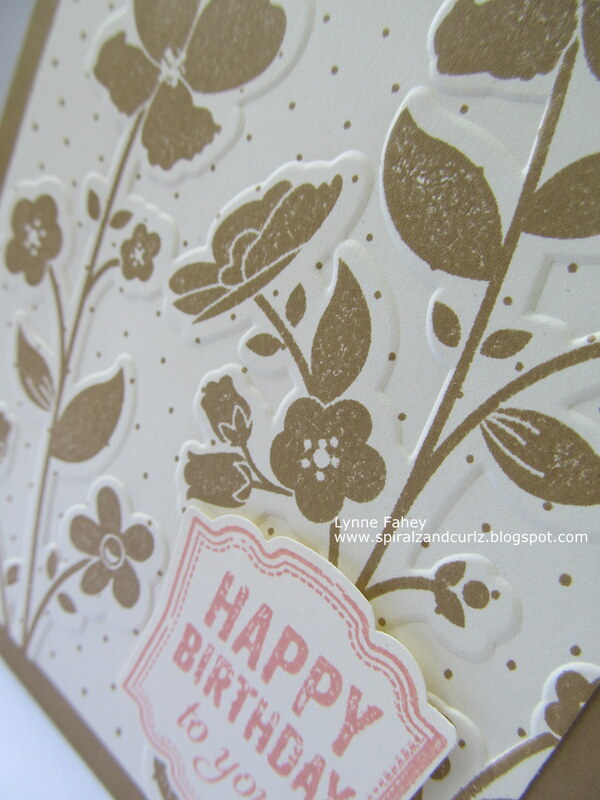 Stampin Up Demonstrator - Lynne Fahey (Spiralz and Curlz): Open House and Catalogue launch party at mine! 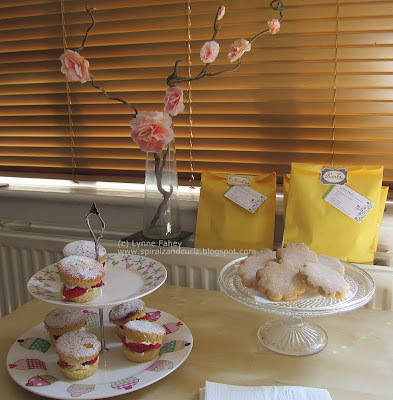 Open House and Catalogue launch party at mine! The ladies are busy doing the Make & Takes or browsing through the NEW catalogue and deciding what to spend there money on! You can see a fraction of my "retired" SU stock in this picture above to the right, and the ladies loved rummaging through picking out items to buy in order to spend that same amount for FREE in the new catalgoue! 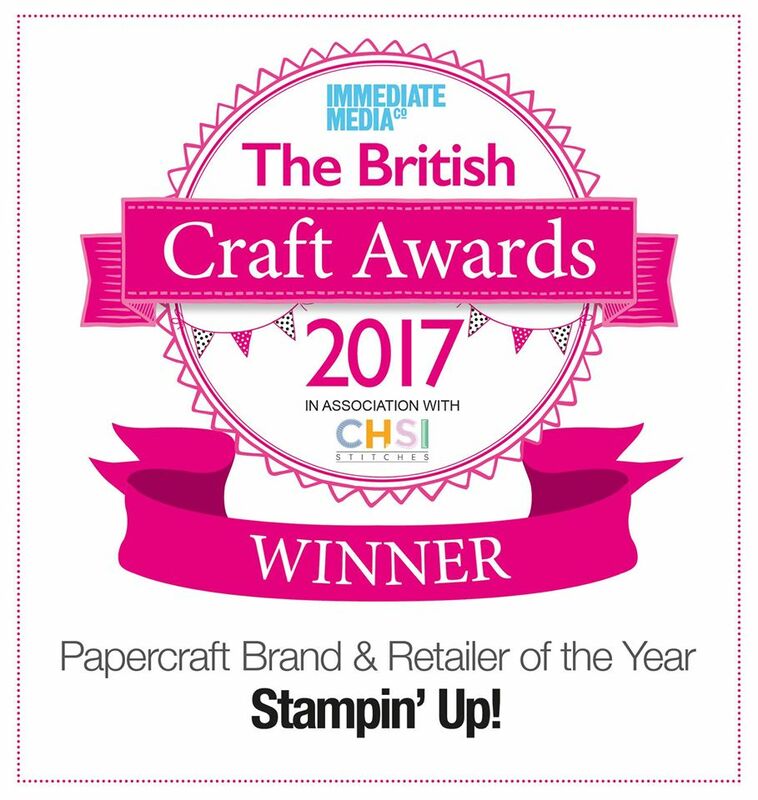 I have NEVER had so many people in my home or garden in the 16 years I have lived here.... and I can tell you now, I loved every minute of it... and to think that this is all down to me sharing my passion and love of Stampin' Up with my friends and customers! Here is the first Make & Take card, which I CASE'd from a lovely fellow Demo (Jo Dumbleton), and I used one of the brand new colours called Bermuda Bay for the card base and a NEW stamp set called Mosaic Madness complete with a co-ordinating mosaic punch - isn't it gorgeous!!! plus Strawberry Slush and Costal Cabana. 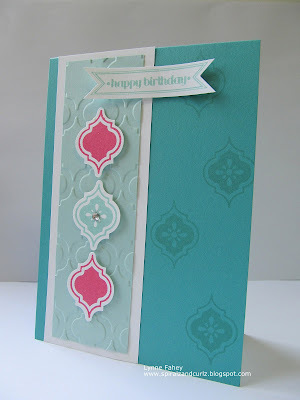 We also used the co-ordinating Embossing folder called Modern Mosaic. And here is the second Make & Take card. 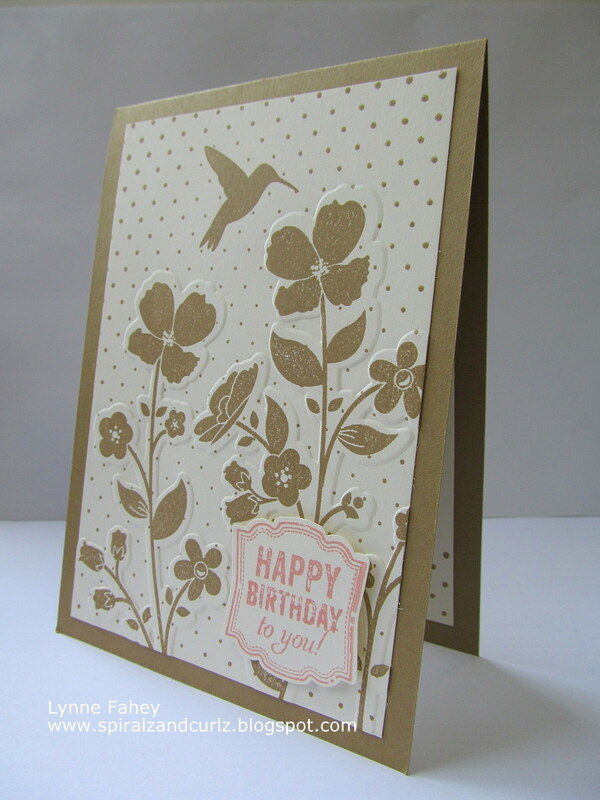 It's really quick and simple to recreate, using another brand new colour called Baked Brown Sugar for the card base, and the stamp set is new too called Wilderflower Meadow and you can get a great effect if you use the co-ordinating embossing folder of the same name. 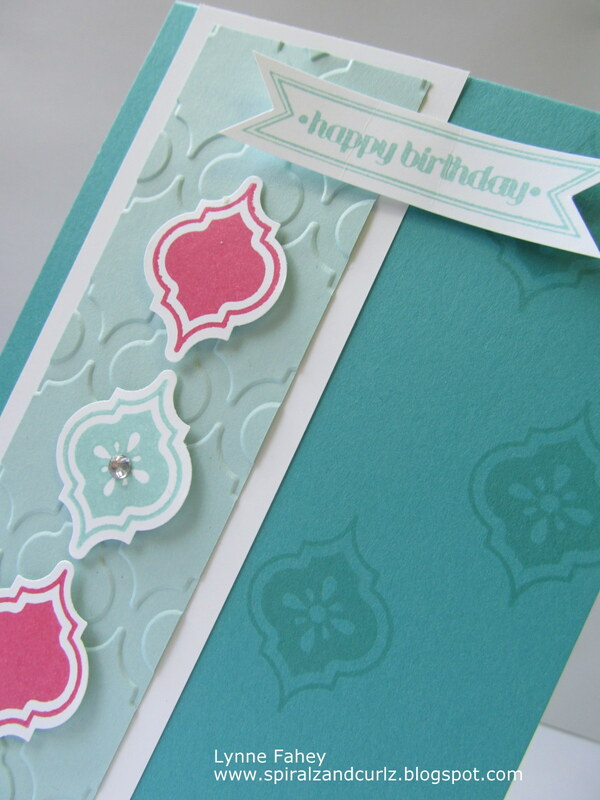 The Happy Birthday label is a new stamp set called Label Love and you can get a matching punch called Artisan Label punch, inked up in another new colour called Crisp Cantaloupe. This shows you a little clearer how the card "pops" off the page when embossed. So for a monochromatic card it's stunning, don't you think? And of course, no open house would be complete without cakes and nibbles!!! My wonderful friend and very loyal customer Carol made these, and they were so yummy they practically flew off the plates! 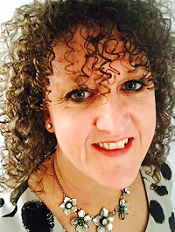 Thank you Carol, you little gem! 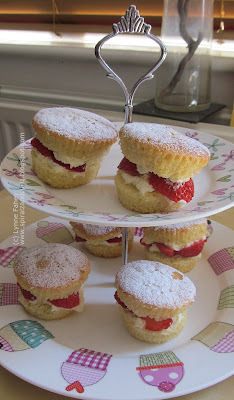 And these Mini Victoria Sandwiches were to die for.... and didn't last long at all. 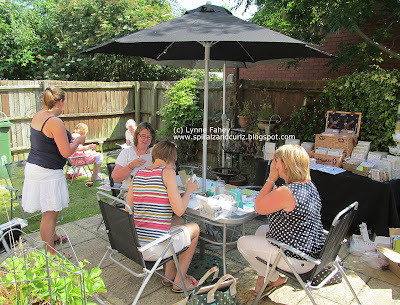 I would like to thank all the lovely ladies who came along and made the day the success it was, I enjoyed spending time with you and I'm so pleased you had a great afternoon! Have a great and see you again soon! Hi Traci, yes, it was so lovely to be outdoors. Normally the new catty is launched in October (not known for hot weather!) so with the change of launch month to July I embraced it with both arms and made it fun! Looks like everyone had a wonderful time! 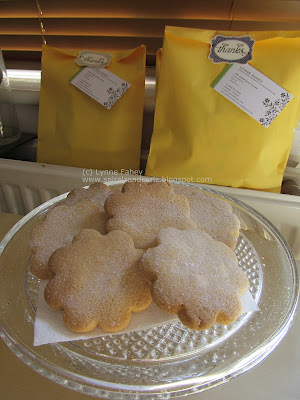 Love your cards, and your "nibbles"!! Fun meeting you in Salt Lake City!